The Radisson Blu Hotel Lietuva, located on the picturesque right bank of the River Neris in Vilnius, has successfully completed a large-scale development project and is now the biggest hotel in the city. 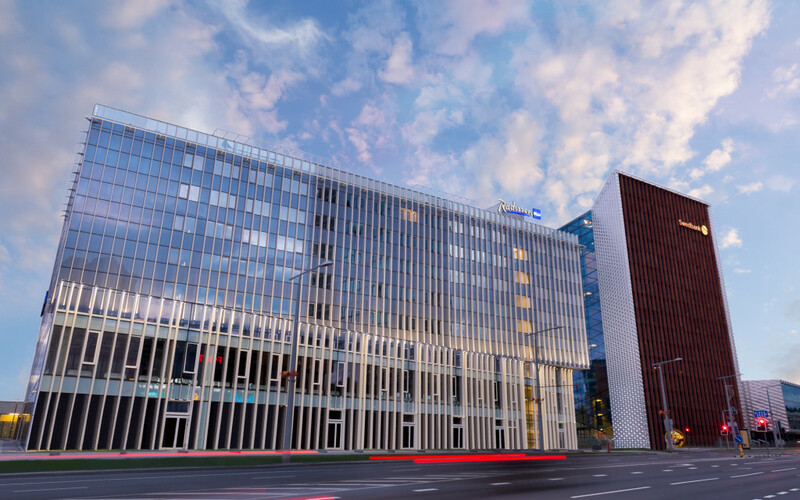 An eight-storey wing with 165 new guest rooms has been added to the Radisson Blu Hotel Lietuva complex, and the hotel now consists of a two-building complex. The new building has opened its doors on July 11th. 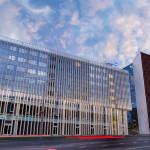 After the completion of this stage in its development, the total area of the Radisson Blu Hotel Lietuva is 39,500 square meters, and it offers 456 guest rooms. This means that the four-star Radisson Blu Hotel Lietuva, part of Radisson Hotel Group, has become the biggest hotel in Lithuania based on the number of rooms. A shopping mall has been constructed on the ground floor of the eight-storey building, while business organisations will occupy the two floors above. It is currently planned that UAB Carggo Europe, Sixt Lietuva (UAB Transporent), Narvesen and Oriflame cosmetics will operate in the spaces designed for shopping and offices. The new hotel rooms are located on the remaining five floors. These rooms have been furnished in compliance with the new Radisson Blu standard and the rooms’ interiors contain unique items of furniture which are combined with natural materials, iconic design elements and accents related to local culture.